A bank savings account averages 0.07% whereas our top-rated online savings accounts below (some of which are from our partners) dish out more than 32x the returns of traditional bank savings accounts, and are insured by the FDIC. Simply put, we think most people are missing out on much larger guaranteed returns by letting their money languish in a traditional bank account with a low Annual Percentage Yield (APY). Marcus by Goldman Sachs is a recent entrant in the online savings account market, and the bank is garnering a lot of attention. That's because it has been going toe-to-toe with competitors by delivering an interest rate that's among the highest we've come across and low fees. Read our Marcus by Goldman Sachs review to learn more. American Express has a legion of die-hard credit card fans and we think American Express® Personal Savings from American Express National Bank will generate the same enthusiasm for savers who value a combination of low fees and a high APY. Read our American Express® Personal Savings review to learn more. Barclays Online Savings checks many of our boxes for a top-notch savings account -- namely, low fees, convenience, and high yield. Its lack of fees are especially compelling, and its mobile app earns impressive user ratings. 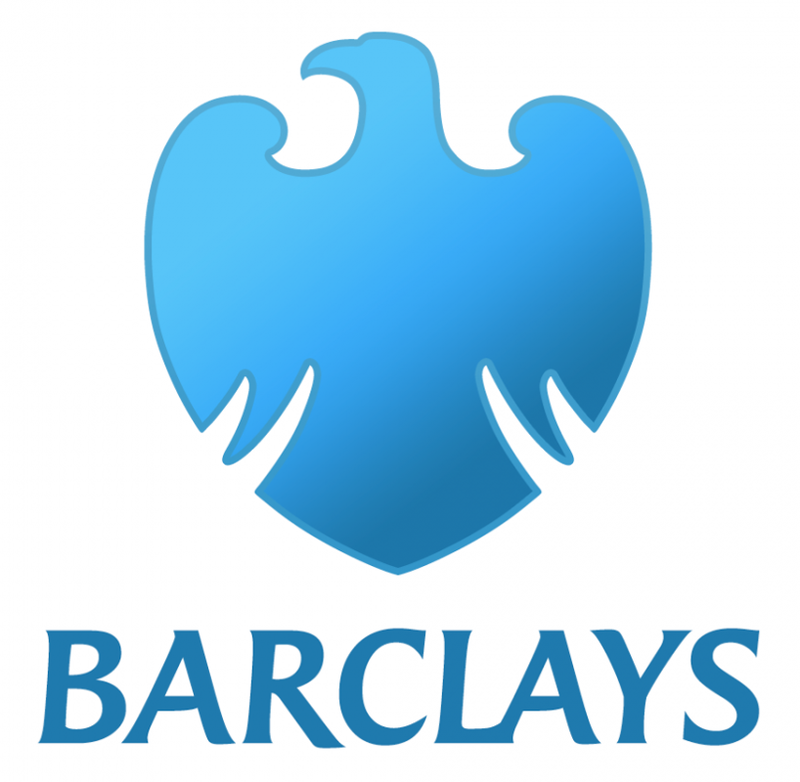 Read our Barclays Online Savings review to learn more. We think HSBC Direct Savings is a top-tier option for people who want to tackle common fees head-on and earn one of the best interest rates we've seen. Parking your cash with HSBC can bring the cost of maintaining an account down to $0 for routine account needs and HSBC's high yield rounds out the features we covet most when picking the best online savings accounts. Read our HSBC Direct Savings review to learn more. Ally has been one of the most vocal and aggressive online banks when it comes to low fees and competitive yields across all of its banking products. Ally Online Savings is no exception, with its high yield, and slate of fee waivers. Similar to Discover, Ally may be worth considering for financial services beyond just a savings account, including the online bank's CDs and brokerage offerings. Read our Ally Online Savings review to learn more. Discover's high-yield savings account includes many valuable perks. The bank's combination of a bonus, high APY, no monthly maintenance fees, and ease of use are factors that make for the best online savings accounts. Accountholders can earn one of two bonuses when using offer code FOOL419, applying by 5/6/19, and making a deposit by 5/20/19: Earn a $150 bonus when depositing at least $15,000 or earn a $200 bonus when depositing at least $25,000. Read our Discover Savings review to learn more. 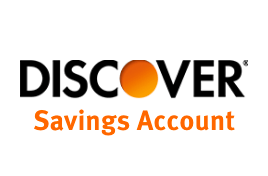 What to do: Apply for your first Discover Online Savings Account by 5/6/19, 11:59 PM ET, online or by phone. Enter Offer Code FOOL419 when applying. Deposit into your account a total of at least $15,000 to earn a $150 Bonus or deposit a total of at least $25,000 to earn a $200 Bonus. Deposit must be posted by 5/20/19, 11:59 PM ET. Maximum bonus eligibility is $200. See advertiser website for full details. CIT offers one of the most unique savings accounts of the picks on this list, including the highest APY, with the top tier earning 2.45% interest. Qualifying for the top tier requires a $25k balance, or for balances below that amount, you can earn the top rate by making at least a $100 deposit each month. Many savers should be able to qualify for this rate. We should note that the rate drops to 1.17% when not meeting one of the qualifications above. Read our CIT Savings Builder review to learn more. Having a savings account is a critical step toward financial success. But it's not enough to have just any savings account. Only the best accounts will help you get off on the right financial footing. You can get savings accounts from your local bank branch, and some of you might even be able to get a reasonably good deal from the bank down the street. But in our experience, online savings accounts have a lot of advantages over what you'll find inside a typical branch location. To get the most from an online savings account, you have to be discriminating. There are dozens of online banks to choose from, but with some help, you can skip past some of the poorer options and get right to the best online savings accounts available. Below, you'll find our picks for the best online savings accounts, along with some tips about why they're worth pursuing further. Is an online savings account FDIC-insured? Is an online savings account right for you? High APY -- This space is competitive with banks fighting for new account holders by offering high interest rates. The top picks all deliver leading returns on your money. Low fees -- One of the main reasons online banks have thrived is their light cost model, which is supposed to pass on savings from not having to operate and brick-and-mortar model to consumers in the form of higher APY's and lower fees. The top picks don't charge monthly maintenance fees and cut other nuisance fees. Flexible deposits and withdrawals -- An online bank should still provide easy access to make deposits and withdrawals. Accounts offering such flexibility, receive high marks. I've published over 500 personal finance articles that have appeared on sites such as MSN, Yahoo, AOL, and CNN Money. I also launched The Ascent's banking reviews after reviewing hundreds of data points across the most popular online savings account providers. The key focus in picking the best best-in-class offerings is to make your money work harder for you by finding savings accounts that deliver both high APY's and low fees. Put simply, an online savings account is a savings account offered by a bank that primarily does business over the internet. Some online banks do have at least one or two physical branch locations but do the vast majority of their business via internet. Others don't have any brick-and-mortar presence at all for customers to visit, instead having locations for customer service call centers, operational support personnel, and online bank executives. Regular savings accounts -- Typically have low minimum balances and few restrictions on use, but pay lower rates of interest. High-interest savings accounts -- Pay more attractive interest rates, but they often require you to keep a higher minimum amount of money in the account or put limitations on how you use the money. Monthly maintenance fees for high-interest savings accounts are sometimes higher than on regular savings accounts. Money market accounts -- Combine some elements of checking and savings accounts. They pay attractive interest rates but also offering check-writing features that let you make a limited number of payments by check each month. Jumbo savings accounts -- Offer some of the best interest rates, but you'll typically have to deposit $100,000 or more to qualify. Certificates of deposit -- CDs require you to keep your money in the account for a set period of time. If you withdraw money early, you'll pay a penalty. The longer the time period for the CD, the greater the interest rate usually is. Not all online banks offer every type of online savings account. However, you'll almost always find a regular savings account and CD options, and it's also common to see at least one higher-rate option available. Online banks have grown dramatically in popularity over the years. But it's taken time for many bank customers to get used to the differences between online banks and financial institutions that have brick-and-mortar bank locations. Early on, many bank customers were concerned about the potential for internet fraud, fearing that online banks weren't even legitimate institutions. To attract deposits, online banks responded by offering interest rates that brick-and-mortar banks couldn't match. They were able to do this because online banks don't have to pay the maintenance and upkeep associated with having so much physical real estate dedicated to bank branch locations. Now, the banking world has turned upside down. Many people prefer the convenience of banking online, so much so that even traditional brick-and-mortar banks have had to create online systems to give their customers the same services that online banks have always provided. Interest rates -- The best online banks still have a dramatic advantage in the rates they offer, especially on basic savings accounts. Many brick-and-mortar banks pay next to nothing in interest, relying on other features to bring customers in. Hours of operation -- In terms of sheer availability, online banks are always available to conduct regular business. You don't have to worry about when a branch location might be closed or what transactions your brick-and-mortar bank will let you do through an ATM. ATM networks -- Few online banks have the extensive networks of proprietary ATMs that the biggest brick-and-mortar banks have. However, many online banks offer rebates of ATM fees that you might have to pay to use an ATM in another bank's network. Customer service -- Online banks typically have call centers that offer service on an extended schedule, with a few giving their customers 24/7 access to professionals. Online chat customer service is also sometimes available. However, no online bank can match the in-person relationships that brick-and-mortar banks rely on as their main competitive advantage against their internet-focused rivals. Quick account access -- Most transactions involving online banks require use of electronic transfers, which typically take a couple of days to complete. Wire transfers are available for more time-critical needs, but you'll often pay an extra fee. When you need quick access to your money that goes beyond what an ATM can provide, brick-and-mortar banks still give you the chance to go to a branch and immediately make as large a withdrawal as you want in whatever form best meets your needs. In the end, whether you prefer online savings accounts to brick-and-mortar accounts depends on what you want from your banking relationship. In the vast majority of cases, online banks can let you do just about anything a brick-and-mortar bank would -- and you'll earn better interest along the way. One must-have feature that any good savings account has to have is deposit insurance from the Federal Deposit Insurance Corporation, or FDIC. Covered deposits are protected up to $250,000 against any problem that your bank might have, up to and including the complete failure of the entire banking institution. The good news is that most online banks, including all the ones that offer the best online savings accounts, are covered by the FDIC. But if you have a lot of money to deposit, you have to be a bit careful. All of the accounts you have in the same name at the same bank are added together to calculate the $250,000 limit. So if you have two savings accounts -- each of which has $150,000 -- then the total of $300,000 leaves $50,000 at risk above the $250,000 limit. However, you can get extra coverage if the names on the accounts are different. For instance, in the example above, if one of those accounts was an individual account while the other was a joint account with your spouse, then each would get separate $250,000 protection. That would protect the full $300,000 total amount. The best online savings accounts have several attractive features. You won't necessarily need all of them, but it's good to know that when you do, you won't have to switch banks to get them. Here's a short guide, in rough order of importance. Look for FDIC insurance -- The most important feature of an online bank is that it be FDIC-insured. Going without deposit insurance is a risk you don't want to take, especially with an internet-based financial institution. Avoid unnecessary fees -- great online savings accounts shouldn't charge you any unnecessary fees. Monthly maintenance fees, account inactivity fees, statement fees, and other miscellaneous charges that you're used to seeing with brick-and-mortar banks largely have no place in the online banking world. Just about the only exception is an overdraft fee, but that's pretty rare with savings accounts. Seek accounts with flexible deposits and withdrawals -- It should be easy to move money into and out of your online savings account. Electronic fund transfers are an inexpensive way to make deposits and withdrawals, especially if you have an existing relationship with a brick-and-mortar bank. Direct deposit of paychecks should also be easy to set up, and many online banks offer bill-pay services. You might need to open a related online checking account to make money transfers as convenient as possible, but that's usually a simple process as well. Online banks should also have ways to get money out of ATMs cheaply, either through a partnership with a major ATM network or by reimbursing fees charged by out-of-network cash machines. Find a high interest rate -- The best online savings accounts have rates that are close to the highest available. You don't have to pick the very best rate, because often, you'll find that changes in promotions can shift the order among the top-ranking online banks. As long as you're within striking distance of the best rate, you'll likely do fine. Find a bonus -- You can sometimes get bonus deals by opening an online savings account. Some accounts offer extra cash if you deposit a certain amount within a month or two of opening the account and then keep it there for a set minimum period of time. Look closely at the fine print, though, because some deals will require you to make certain transactions that you might not otherwise need to do, such as making debit-card purchases or establishing a direct deposit into the account. Because online banks don't have branches for you to visit, it's vital to understand how to make deposits and withdrawals. Fortunately, most of the best online banks give you several ways to get money in and out of their online savings accounts. Electronic transfers of funds from an existing bank account, or for paychecks, through a direct deposit relationship with your employer. Online submission of check images through a desktop or laptop computer or a mobile device like a tablet or smartphone. Sending checks to a specified bank mailing address by mail or overnight delivery service. Electronic fund transfers to another bank account. Debit-card purchases linked to your online account. Some types of savings accounts, such as money market accounts, allow you to make withdrawals by check. Requesting a paper check be sent to you by mail. There are a couple extra things to consider. First, the Federal Reserve limits withdrawals from savings and money market accounts, including those at online banks, to six per account cycle. Withdrawals above that limit typically incur fees and can lead to the closure of your account. Second, online banks are vigilant about hacking and fraud, and many require two-factor authentication and other security measures when you try to withdraw funds. There's no limit to the amount you can earn in a savings account. The more you save and the higher the interest rate, the greater your earnings will be. For instance, if you're able to set aside just $100 each month in an online savings account, here's how much your money will grow over time. As you can see, the difference between a 2% rate and a 4% rate isn't all that big in the first year you save, adding up to just an $11 boost at the higher rate. But as time goes by, the power of compounding makes an increasingly large impact. By the time 10 years has gone by, getting a better rate has earned you almost $1,500 more in interest, and that difference grows to more than $7,000 in extra earnings over a 20-year period. More important than what you can earn in a savings account is what you won't have to spend in unnecessary debt payments by having money available in an emergency. Even if you only earn 2% during a period of low rates, that's still a lot better than the 10% to 20% or more in interest you'd pay if you had to charge an unexpected expense to a credit card and pay it off over time. The peace of mind that an online savings account can give you has value above and beyond the interest you'll receive. You’re seeking some of the highest savings rates offered. You like being able to handle your finances via the internet. You're comfortable with using electronic fund transfers as your most frequent way of making deposits and withdrawals. You're okay with customer support via email, phone, or online chat and don't need much personal hand-holding. You need a lot of one-on-one personal attention. You need near-instantaneous access to large amounts of cash beyond what an ATM can provide. You don't have reliable internet access via computer or mobile device. You have a lot of special banking needs beyond simple deposits and withdrawals.